From my bitter experience I have found out that it doesn’t matter that much whether you are using a brand new laptop with the I5 Intel processor or some trashy Celeron 1100 Mhz processor with 500 Mb RAM. The important thing is what kind of software optimization steps are applied, if any. Hardware is important, the number of megabytes and gigabytes in your PC still matters. However, you may be able to speed up your old computer to such an extent that it will run like a model with much better hardware characteristic. I haven’t reinstalled my Windows XP for 4 years and it still runs like a clock. Here is what I do every 3-4 months to make my computer run faster and it works like a charm every time. 1. Download and install all the windows updates. 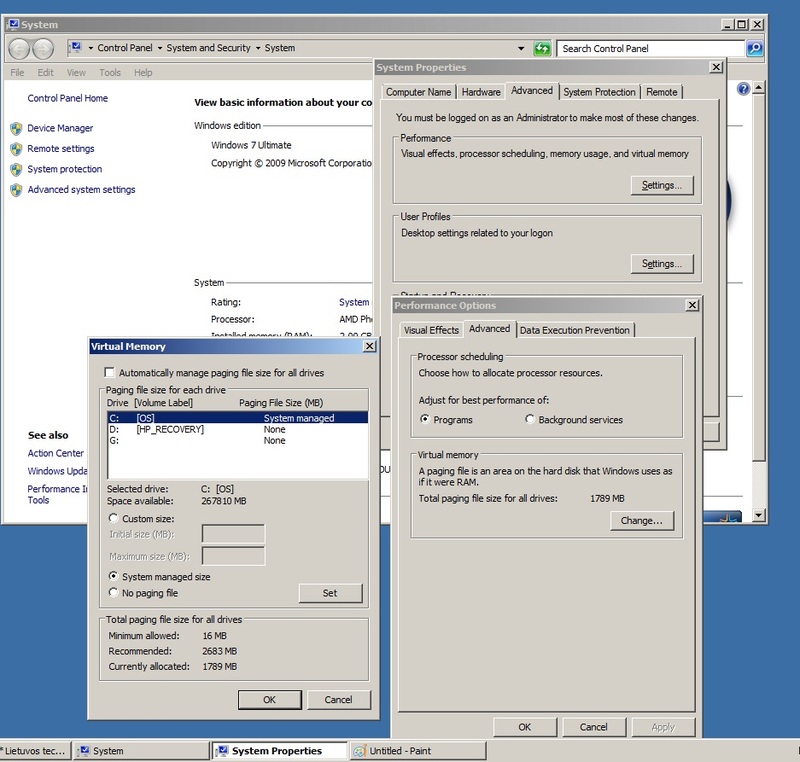 If you have Windows XP operational system with service pack 1 or two, download the latest updates for the service pack 3. If you’re running Windows 7 or Vista, you can do the same thing – update you operational system. This way you will be able to fix all the bugs and holes that may be slowing down your computer system along with being a potential backdoor for malware programs and viruses. For those of you, who don’t know to update your PC operational system manually, here is a tip. For Win XP users: Open Control Panel and click the Automatic updates icon. If the tick is on the “turn off automatic updates” option, choose the “automatic (recommended)” option. Then click apply and OK buttons. Upon the next restart of your PC, windows automatic updates will be operational. For Windows 7 users: right click on the “my computer” icon, select “properties” and in the newly opened window click on the “windows update” in the lower left side. In the next window click the “install updates” button and windows will do the rest. You may have to restart your computer. 2. Update your existing drivers and make sure there aren’t any driver errors in your Device Manager window. 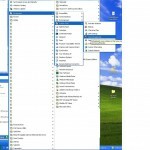 (Under Windows XP right click on “My Computer”, select “Properties”. In a new window open the “Hardware” tab and click on “Device Manager”). Scroll through your devices and look at any exclamation or question marks. 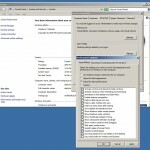 If there are any – reinstall the driver using the vendor software or simply use the “Driver Max” driver update program. I was having slow motion movie effects every time I was browsing through my local network computers. The driver seemed to be OK, web browsing was also good, but the Driver Max suggested an update. I installed it and there were no computer network lags anymore (to my amazement). 3. Defragment you logical drive. Remember that every file that is opened and closed leaves bits of parts scattered in your windows system. As time goes by, more and more bits of files are scattered and the read – write process of these files gets slower and eats up more memory. Defragmenting your logical drives once in three or four months is enough to make your PC work and run faster. How to defragment computer for windows XP and 7 users? 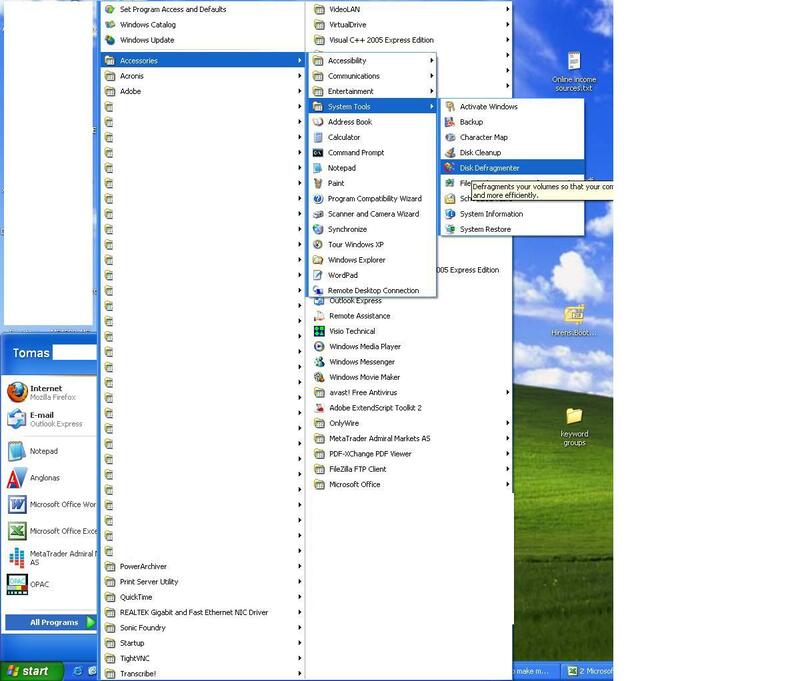 For Windows XP users: select “start“, “all programs”, “accessories”, “system tools” and then “disk defragmenter”. Click “analyze” to find out whether you need defragmenting your computer. If you are prompted to make the defragmentation – do it, otherwise just close the program. For Windows 7 users: select start menu, then click on the “control panel”, then click on the “system and maintenance”. In the new window look down and click on the “defragment your drive” under the “administrative tools” section. Follow the same steps as in the Windows XP user section. 4. Scan your computer for possible viruses and spyware. If you don’t have any antivirus and antispyware program – I suggest using the Avast or AVG free antivirus programs. Just don’t use the two altogether, as they will identify each other as malware programs. Get the latest updates and then make the full scan of your PC. It might take a while, but be patient and in case any viruses are found, follow the on – screen commands. Then install antispyware programs and I recommend using Super – antispyware. It’s the best free antispyware program that identifies and efficiently removes most of malware and root kit threats. Besides, it is compatible with major antivirus programs. If you don’t want to use it, try Malwarebytes or Spybot Search and Destroy. Install them and download the latest updates ASAP. With those updated tools the chances for getting infected will be considerably diminished. 5. Clean your PC and fix your registry using these simple steps. Tune up your windows settings with Tune up utilities program. It’s not free, but the cost is only 50 USD. delete all the unnecessary files and remove large files from your desktop. Make my computer faster cleaning the Windows XP virtual memory. b. Be sure to leave at least 1 GB on your system disk, otherwise it might run slowly, depending upon the size of a paging file, which is used as a virtual memory by Windows. You may also increase the paging file size. 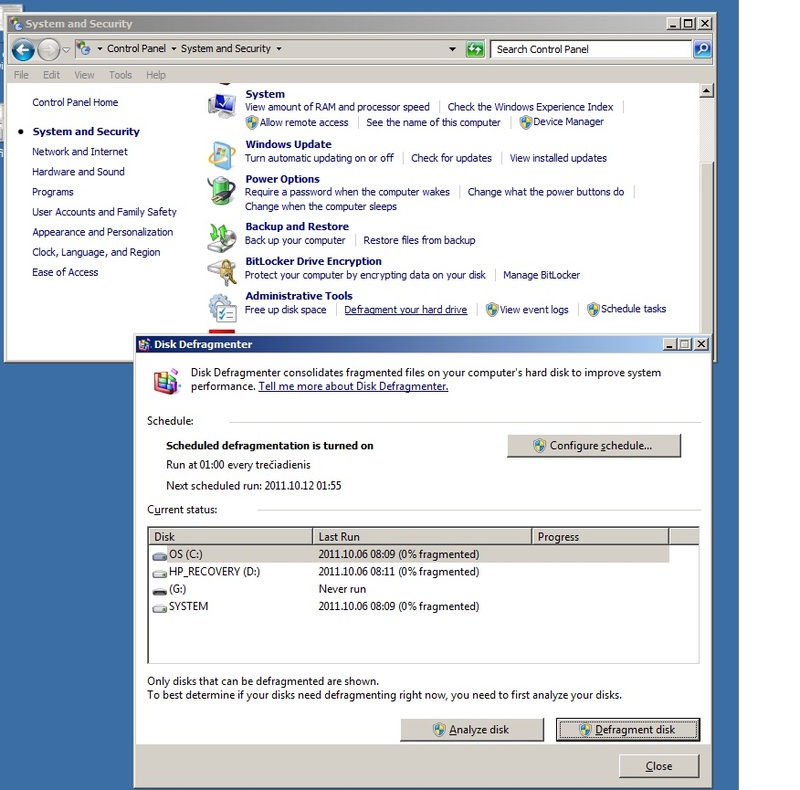 Under Windows XP system right click on “my computer”, select ”properties”, choose “advanced” and then “performance settings”. Click on the “advanced“, and then “change”. In the new window you may change the parameters. 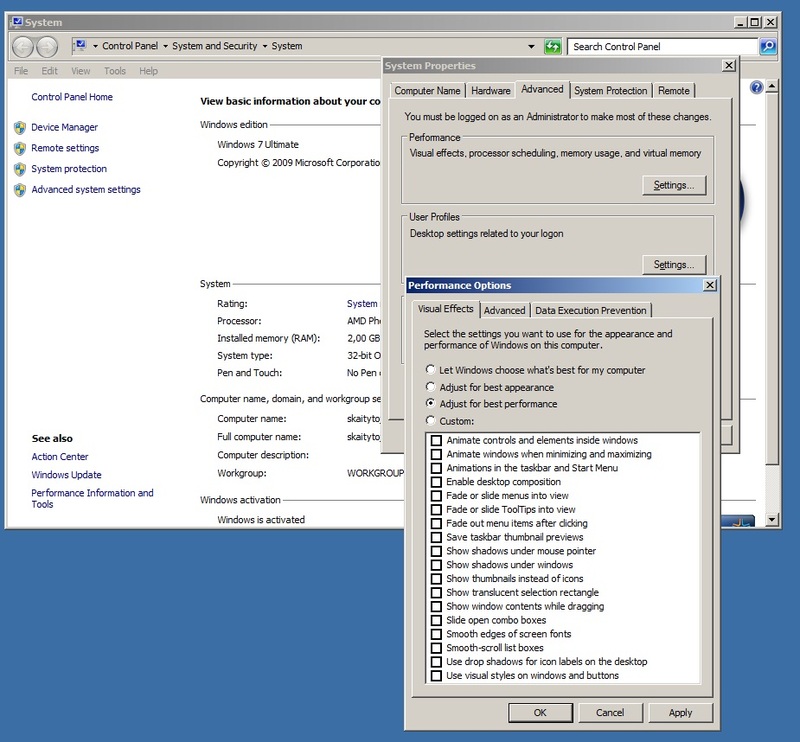 Under Windows 7 system right click on “My computer” icon, select “properties“, and in the new window click on the “advanced system settings” on the left hand side. Click on the “advanced”, then “performance options”, then click on the “advanced” and select “change” in the virtual memory section. In a new window remove the tick from “automatically manage paging file…” and customize it accordingly. c. Delete your temporary files. Every time you open your documents and files, the temporary versions are left in your system folder. They might occupy too much space in your drive as time goes by and removing them once in a while is a good preventive measure. For Windows XP users: click on my computer and then click on C: disk or whatever letter is assigned to your system drive. Then go to “documents and settings” and click on your user name. You should be able to see a “local settings” folder. If not – enable the “show hidden files and folders” option, since it is a hidden folder. The same goes for Windows 7. You will see a “Temp” folder. Delete everything in it, though a few files might remain, depending on what applications you are using at the moment. You can also use a free program called CCleaner, if you’re too lazy to do it manually. It basically cleans up and fixes your registry, but it can also clean up your temporary and unused files. d. Clean up and optimize your computer internet browsers. Delete all the temporary internet files and cookies. You can do so by setting and tweaking your browser settings. In Internet Explorer 8 go to “Tools” -> “Internet options” and then press “Delete” under the “General” tab. You will have to choose what you want to delete. I would recommend unchecking form data, passwords and inprivate filtering data, as this is more sensitive info. Click delete and this is it. In Mozilla Firefox click “Tools” -> “Clear Recent History”, select the time range to clear and press delete. If you have any unnecessary add – ons installed – get rid of them, as they will only slow your internet browsing down. In Microsoft Internet Explorer (8 version) go to “Tools” -> “Internet options” -> “Programs”, then click on “Manage add – ons” and under the “Toolbars and Extensions” section disable the ones that you don’t need. Then go to “Accelerators” which is near the “Toolbars and Extensions” and turn off the unnecessary ones. In Firefox click Tools -> Options -> and under the General tab click on “Manage add – ons”. A new Firefox add – ons manager window will pop up. 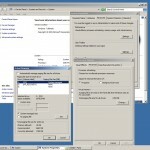 There you will have the possibility to disable or enable extensions and add – ons. e. Turn off or uninstall unnecessary programs running in the background or starting up with windows. For instance, I would surely turn off the MSN or Skype messenger, in case you don’t use them frequently. Every program has a shut down or turn off function that should be enabled in that case. There is no need for those to eat up your RAM memory. Tune – up utilities program will do just that in seconds, and you won’t have to go through the long list in your “add/remove programs” manager. 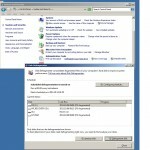 f. Disable windows services that you don’t need running or switch them to manual start – up type. It might seem a bit complicated for a beginner, but I have managed to put all the necessary info in one of my posts. g. Clean up your system registry. Use the free PC clean up software like CCleaner or Tune – up utilities. Be sure to back up your registry before making any changes, in case something goes wrong. I particularly recommend using Tune – up utilities – the best PC tune up software I have run into. Very easy to use even for a PC dummy like user. h. Tune up your visual styles and windows settings. I have recently discovered it’s a pretty neat way to make a computer go faster. What I mean is optimizing the visual effects to meet the PC hardware requirements. For example, you may be using high appearance settings which will be inversely proportional to the performance of your windows system. Instruction for Windows XP users: right click on “my computer” icon which should be visible on your desktop. Select “advanced” and click on “settings” under the “performance” section. The tick by default is on “let Windows choose what’s best for my computer”. You can set it to “adjust for best performance” or customize at your own choice. 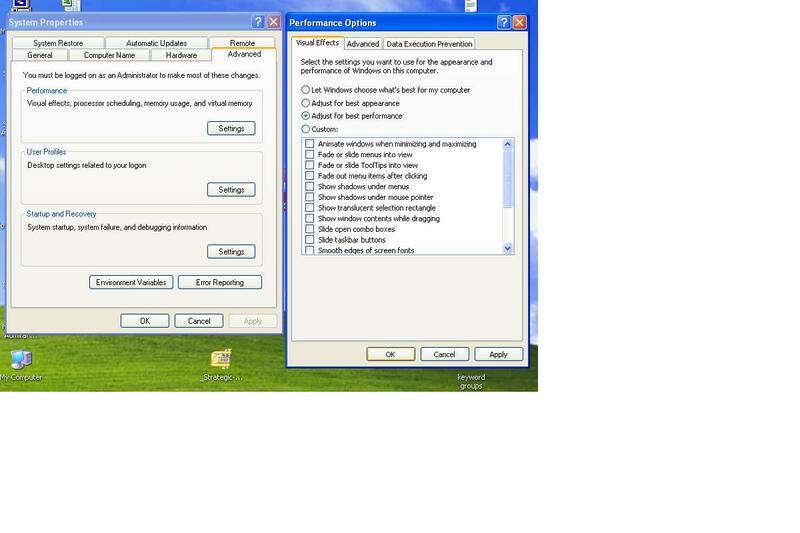 For Windows 7 users follow the steps under section 4-b up to “performance options”. Select “visual effects” and make the same adjustments as I have just mentioned for Win XP users. i. Delete the content in your Windows prefetch folder once in a few months. It won’t do any harm, but will make your PC run faster a little bit. The path is : your system drive letter -> Windows folder ->Prefetch foler, just like this: C:\WINDOWS\Prefetch. 6. There is one more thing that could potentially slow down your PC – that is overheated hardware. Your processor would slow down considerably due to high temperatures to avoid overheating. It could be caused mainly by dusty fans and radiators. Disassembling and cleaning up hardware parts in your laptop or desktop PC is the only easy and effective solution. If you don’t know how to do it, you may watch some Youtube videos about it or bring it to the nearest computer repair shop and have it cleaned for you. It won’t necessarily make your computer faster, but it would definitely eliminate the reasons for a slow down. 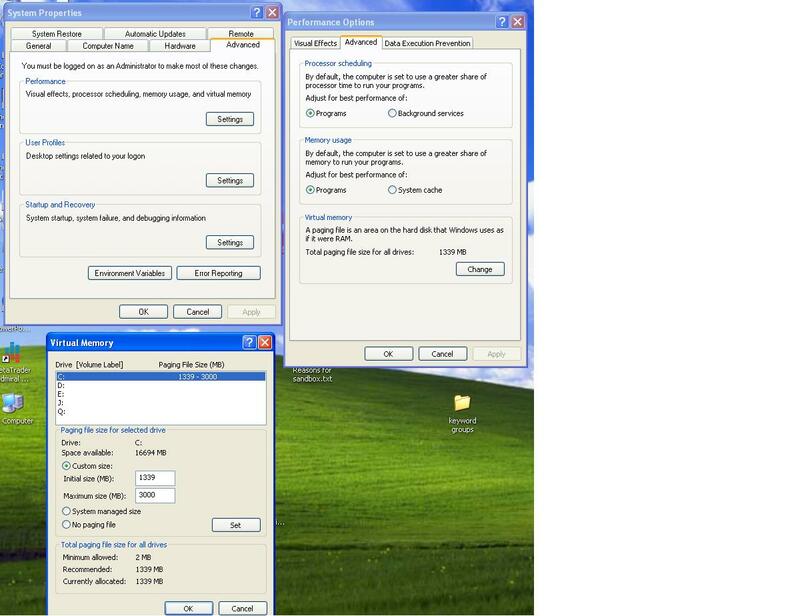 You can also use the Tune – up utilities software to make the free pc clean up. It will execute all the steps that I have mentioned more effectively and with maximum results. It’s free to use for 15 days, then you have to pay. In my opinion – it’s the best investment for your PC with the cost of only 50 dollars. The program is fairly easy to use and what it does is simply amazing. Furthermore – you may schedule it to perform weekly or daily tune up operations which will keep your PC running smoothly and save your time. I have just shared some simple, yet effective steps that I use to make my computer run faster for free with the exception of one tune up program (15 days free trial) which is charged. My tips won’t do miracles, but you will be able to notice the difference once you follow all the steps.